Poster for Quentin Tarantino's "ONCE UPON A TIME IN HOLLYWOOD"
Sharing with you all today a look at the poster for Quentin Tarantino's "Once Upon A Time In Hollywood." "Once Upon A Time In Hollywood" is about the Manson murders and the community that surrounded the killings that shocked the nation and world. The film, in perfect Tarantino fashion has a star-studded cast that includes Brad Pitt (as Cliff Booth), Leonardo DiCaprio (as Rick Dalton), Margot Robbie (as Sharon Tate), Damon Herriman (as Charles Manson), Margaret Qualley (as Kitty Kat), Dakota Fanning (as Squeaky Fromme), Al Pacino (as Marvin Schwarzs), Damian Lewis (as Steve McQueen), Lorenza Izzo (as Francesca Capucci), Austin Butler (as Tex), Luke Perry (as Scott Lancer), Bruce Dern (as George Spahn), Mike Moh (as Bruce Lee), Rachel Redleaf (as Mama Cass) and Rafal Zawierucha (as director Roman Polanski). Here is a look at the poster. 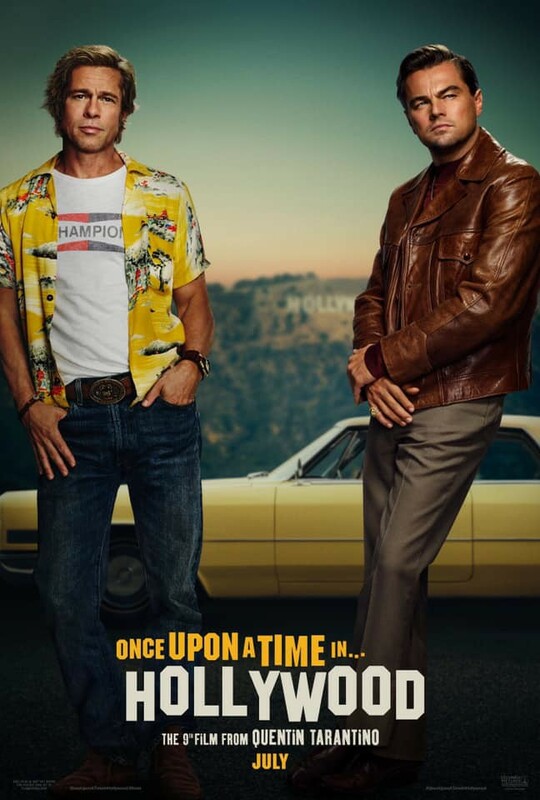 Well, what do all of you Tarantino loving titans think of the poster for "ONCE UPON A TIME IN HOLLYWOOD" and has QT got your attention? I can only imagine what QT has in store for filmgoers, "ONCE UPON A TIME IN HOLLYWOOD" is set to hit theaters in Ireland, Lebanon, the U.K. and the U.S. of A. on July 26th of this year. I am genuinely excited to see what Tarantino does. His films are always a delight and a catapult for talent. In all honesty, I am eagerly awaiting the soundtrack as well. QT knows how to score a film with great music and this film taking place in the era of the '60s gives me hope of some exposure to some very tripped out and groovy music, man.